Leading data storage and protection firm Condo Protego has announced the launch of its dedicated security practice, offering comprehensive solutions for data storage, protection, and security to its government and private customers. 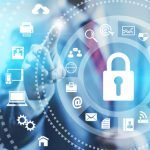 Gartner, Inc. predicts that through 2016, more than 80 percent of organizations will fail to develop a consolidated data security policy, leading to potential noncompliance, security breaches and financial liabilities. Based on its recent report “Big Data Needs a Data-Centric Security Focus”, the research firm asserts that Chief Information Security Officers should not treat Big Data security in isolation, but implement solutions that cover all aspects of data management to avoid security chaos. Local experts say this is especially critical in the UAE and the region, where concerns for data center security are considerably different than those in other countries. “It is important that we tailor our offering to the meet the demands and requirements of the market, and the priorities here are different,” said Savitha Bhaskar, General Manager, Condo Protego. “For example, you might find that most manufacturers tend to push the sales of their data recovery and high availability products. These are in high demand in countries like the US, where organizations risk losing their data as a result of storms and natural disasters. This crucial link between data and security makes the migration from being a data storage firm to one that offers a comprehensive solution of storage and security an important and natural transformation, says Bhaskar. “If a storage provider is responsible for keeping an organization’s data available and protected, logically they should also help them secure and build the parameters for that data so that they can control what goes in and what goes out,” Bhaskar said. Condo Protego’s expansion into security has proved successful, with numerous requests from customers in both the public and private sectors. In Q2 alone, the firm received key orders for a range of security solutions, including an RSA Security Information and Event Management solution at a major financial institution, a Websense Mail and Web Security solution for a key government account, as well as orders from customers in Abu Dhabi for a Symantec Data Loss Prevention solution and a new Symantec Protection Suite. Numerous reports have documented the presence of IT security threats in the region and the financial repercussions. The 2014 “Cost of Data Breach Study” sponsored by IBM and conducted by the Ponemon Institute found that the average cost of a global data breach is US$3.5 million. Organisations surveyed in the UAE and Saudi Arabia were close to the global median with the average total organization cost of data breach standing at US$3.11 million, and reaching as high as US$12.34 million. The average per capita cost for data breach in the two countries stood at US$108.52, according to the study. Malicious insiders or criminal attacks were most often the cause of the breach, accounting for 50 per cent of the companies surveyed in the UAE and Saudi Arabia. The results also showed that the probability of a company suffering a material data breach involving a minimum of 10,000 records or more stood at 21 percent over a period of 24 months. With a Q1 performance surpassing last year’s and a rewarding Q2, Condo Protego has set its sights on a productive H2 in 2014. The firm’s focus on data center security, coupled with its quality customer consultation services sets it apart from the rest. “Within this short time, we have already established ourselves as a competitive market player in data center security,” Bhaskar said. “Our business is strong, and we are performing as well as a security-focused company in terms of generating revenue and pulling in large deals.